Turley is delighted to confirm that we have secured planning approval on behalf of McAleer & Rushe for a new 330 bed hotel in Birmingham City Centre. The scheme was unanimously approved by Planning Committee members and praised by the council’s Planning and City Design Officers. We provided planning and heritage services as part of the wider project team. The proposed hotel is a £40million investment into Birmingham and will be operated as a 4* Maldron Hotel. This represents the second hotel in Birmingham for the Dalata Hotel Group, and will complement their existing Clayton Hotel in the Eastside area of the city centre. The hotel rises up to 12 storeys in height and addresses challenging changes in level from Suffolk Street Queensway and along Gough Street. This results in split level facilities for hotel users at ground/lower ground floor level, with the main entrance and bar/restaurant facilities off Gough Street. The building also wraps around a grade A locally listed building and forms part of the setting of a grade II* listed synagogue to the west of the site. Despite these challenging site conditions, Turley, alongside project architects Urban Innovations, successfully negotiated the proposed design and scale of the building at pre-application stage with council officers. 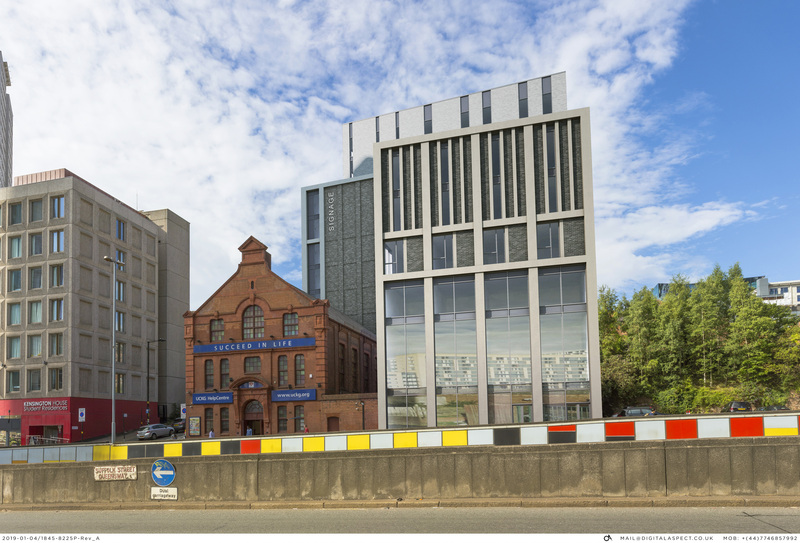 Our planning and heritage teams also provided advice to justify the removal of a former 1930s printworks building on part of the site fronting Suffolk Street Queensway. The proposals were presented to neighbouring site owners prior to the planning application submission to give them an opportunity to raise any concerns. Once submitted, the application was approved by the council within their 13 week timescales for major planning applications. This approach demonstrates the benefits of ‘front-loading’ the planning process so that any potential site-specific issues can be worked through with the Local Planning Authority at pre-application stage.